The Hawaiian Steel Guitar was invented in 1889 by Joseph Kekuku. The innovation that made the steel guitar possible was simply to raise the strings at the nut by slipping a piece of metal between the strings and the nut. This nut extension allowed the pitch of the strings to be changed by positioning a steel bar on top of the strings. 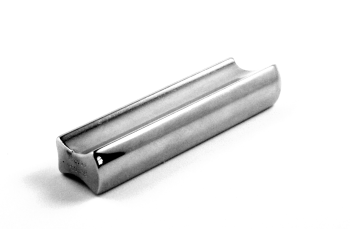 A common name for this bar among guitarists is a “steel”. This is why the instrument is called a steel guitar. It is not called a steel guitar because the guitar is made of steel. Although some resonator guitars are made of metals (usually brass or steel), steel guitars can be made of wood or any other suitable material. You can raise the action of any guitar with a nut extension so you can play with a steel. 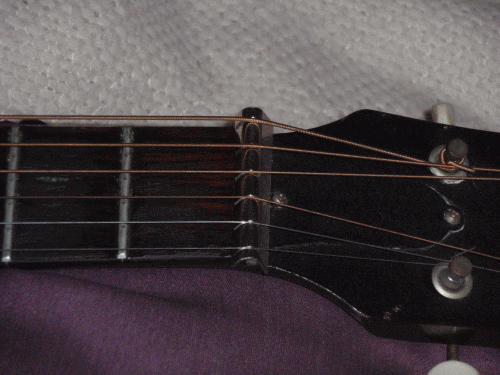 Changing pitch and playing chords can be done by sliding the steel over the strings. Thus, another variant derived from the steel guitar is slide guitar – not the same but related. The Hawaiian Steel Guitar was originally a wood instrument, but many variants are descendants of this original invention. Among them are square neck resonator guitars, lap steel guitars and pedal steel guitars.